My husband and I are moving and we’ve been scouring Craigslist ads to buy our furniture. We currently live in a shack and are upgrading to a two-bedroom townhome, so we need items to fill up the space, but we’re still two newlyweds on a budget that don’t have a lot of money to splurge on high-end furniture. Enter Craigslist. I am honestly surprised by the number of people who have really bad ads. You’re trying to sell your stuff, right? You can’t sell your stuff with a bad ad. Always include pictures. I’ve seen so many postings where people post ads and fail to include pictures. With hundreds of other ads, why would I take the time to email you about your furniture. “Pictures upon request” just doesn’t cut it. Take the time to actually take some photos and post them with your ad. It will help your items sell a lot quicker. Take the time to take good pictures. Remove your clutter from the area, have natural daylight, take a high quality picture. The better someone can gauge whether it’s the item for them, the less time it will take for you to respond to inquiries. Don’t say “firm” in your posting. I never email anyone who is firm on price. Craigslist is all about haggling. If you want a certain price, then ask for more money so you can meet somewhere in the middle. Include keywords. These can be added to the bottom of your Craigslist ad. You’ll see it often for apartment complexes, but feel free to do it for items too. You can put in the color of an item, the area you’re located, anything descriptive that someone may search for. For example, if I’m trying to sell a couch, I may put my keywords as : brown sectional, sofa, couch, city, large. The more descriptive keywords in your post, the more likely it will show up in someone’s search terms. Respond to email inquiries quickly. A lot of times, people are emailing several ads to find what they’re looking for—especially if it’s something generic, like a microwave or fridge. The person who responds the quickest may have a better shot of making the sale. 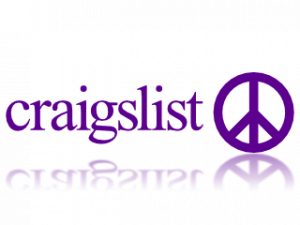 Use these tips to help make a good ad and sell your stuff on Craigslist!